Even if you’re a master at task avoidance, you can only avoid a task for so long before you bump up against necessity, a deadline, or worse, the realization that what stands between you and the achievement of your goal is this task and your deep desire to avoid it. Really, there’s nothing worse than the realization that what is standing in your way is YOU. While my avoidance is significant, in some people it rises to an even more extreme level and is referred to as Pathological Demand Avoidance or PDA. For sure, I had the perfect setup for avoiding the tasks I didn’t like or want to do. 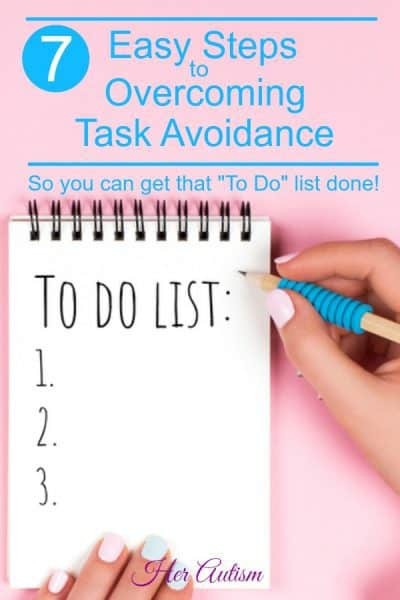 Even better, I could gracefully avoid these tasks without having to admit I was a chronic avoider. My husband and I had a division of labor (a division of tasks) that allowed each of us to avoid the stuff we didn’t want to do. Well, for YEARS (over 22 years, in fact), it was pretty awesome. Sadly, it was probably the best part of the marriage other than my stellar kiddos. The end of our marriage, however, put an end to that and left me to deal with my avoidance issues. Without a graceful way to dodge, well, anything. Nothing makes clearer the things you avoid than being positioned such that you are the only one to get them done. The undone “stacks” speak for themselves. Car maintenance. I put it off as long as I could. Right up until I was having to ask for rides because the car wouldn’t run. Yard work. I finally moved into a condo without a yard. Enough said. For a long time, I dug my feet in and just continued to avoid certain types of tasks. But I’m a driven, goal-oriented kind of woman, and looking back, I can see that couldn’t last forever. Tech stuff. Here’s where it all hit the fan. 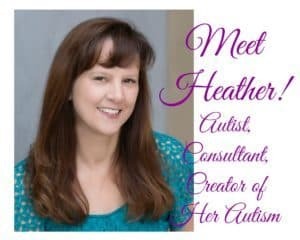 In the time I was avoiding all of these other things, I started the Her Autism blog. The problem with a blog is that blogging moves fast, and if you want to keep up, you really need to be able to do a lot of your tech stuff on your own. And I was totally in avoidance mode. Totally. And I wasn’t reaching them. And I wasn’t reaching anyone with Her Autism. If I couldn’t figure it out, for a small sum, I could just hire it out. I even avoided this step. The dim lighting in my home continued, the cars could wait another day, there was no yard anymore, and I cooked enough to survive, but I couldn’t accept that my little blog was not getting where I wanted it to go. How Did I Defeat Task Avoidance? 1. I worked to correctly identifying the task I was avoiding. Sounds like a no-brainer, but it’s amazing how easily you can identify the wrong task. Just a week or so ago, I believed I was avoiding the task of paying the bills. On reflection, I realized that I was really avoiding opening my bank account. Totally different. I have issues around my bank account that result from issues my ex-husband and I had when we had shared accounts. Those reasons are now gone with the divorce, but my anxiety over the bank account remains. Had I tried to move forward believing the real issue was the bills, my misidentification of the real problem would have caused delays. 2. Next, I started asking myself just how long it would take me to do the task I was avoiding. 3. Then I asked myself how long, historically, I would put off that type of task. The answer more often than not was that the task before me would take anywhere from 10 to 15 minutes to a few hours and that I had it in me to avoid it to periods of up to a few months. I could avoid a simple, quick task for MONTHS. It makes me feel physically ill when I think of it now. No wonder I wasn’t making progress at the rate I wanted. Goodness. The thought of saving MONTHS with little effort by doing tasks I would have to do eventually appealed to me. 4. Motivated by this revelation, I started asking myself why I was avoiding these tasks. Check it out: I can change a lightbulb, certainly, I can drive the car to be repaired, again, there’s no yard, but I grew up moving lawns to earn money thus proving it’s in my toolbox, and I know how to cook. I didn’t know how to do all the tech stuff, it was mostly new, but that didn’t mean I couldn’t do it. So just why was I avoiding it? 5. I started to journal the reasons. They varied from simple dislike to remnants of abusive relationships. All kinds of reasons. While it was hard to be honest at first, the power of the exercise soon took over, and I began spilling my guts. 6. I journaled the truth about just how possible it was for me to get these tasks done, and what my life would be like if I chose to live that truth. 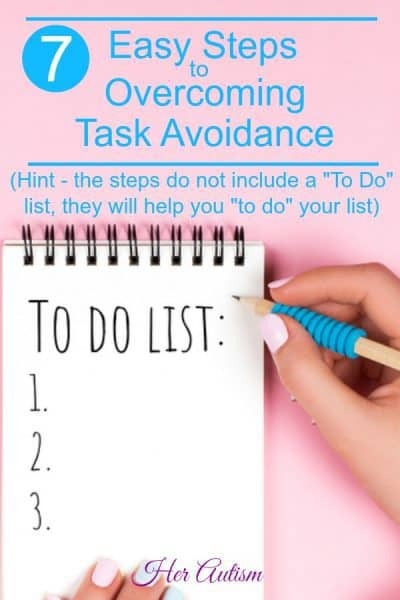 The truth was that I had eliminated most of the reasons for avoiding the tasks already. I only had to chose to begin doing them. When I saw in writing what my reality could be like, I WANTED it. I SO WANTED IT. What did my truth look like? I could do the tasks. I have the skill, the ability, the resources to do them. The people in my life who had previously caused me difficulty to the point of sabotaging my efforts were no longer around. (You can read more about my journey to have safe people in my life in my post, “My Greatest Struggle As an Autist: Identifying Safe People.”) There was no reason to feel anxiety about any of the things I was avoiding. There was NO REASON to avoid any of this. What was the truth I could live if I just stopped avoiding tasks? I could finally move forward. 7. Once I get my journal entry completed, I LIVE THE TRUTH I’ve identified. Am I still journaling? You bet! And my journey continues because of it. Now when I feel myself even begin to task avoid, out comes the journal, and I work through this very process. Every. Single. Time. Where in the first few weeks it took me a bit of time and emotional angst to get the journaling done, now more often than not, I am chomping at the bit to get the task done before I complete the journal entry. I don’t have to journal nearly as often, and the entries are written so very much faster. My home fairly glows from the light pouring from the working lightbulbs (I’m surprised the neighbors haven’t complained about the glow emanating from our home), my car repairs are current, and I just brought home a pile of produce to cook up. 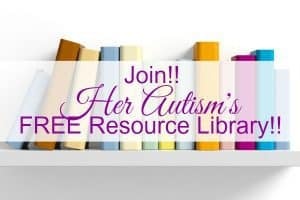 The project for Her Autism that pushed me to push myself – complete! After all, isn’t it time for you to live the life you want to live??? Want to remember this for later? Pin it to your favorite Pinterest board! Get the template for “Ready, Set, Do It!” and access to all of the resources in the FREE Resource Library!